How Does the Work Opportunity Tax Credit Work? The term "eligibility" needs to be clarified. 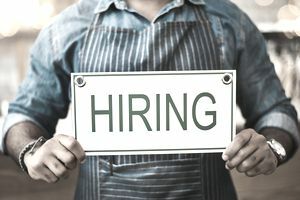 Your business is hiring workers who meet certain eligibility requirements but note that the eligibility is for your business to receive the work opportunity tax credit, not the workers. For example, if you hire a veteran, you can submit a claim for the tax credit for your business. No tax credit is available for the veteran. What Types of Workers Qualify for WOTC? In addition to the general qualification, there are specific qualifications within each category. This U.S. Department of Labor chart details the specifics. During the hiring process, on or before the employee begins work, there are two forms you and the applicant must complete. If you don't complete the forms during the hiring process, you won't be able to get the tax credit. First, you and the applicant must complete IRS Form 8850, the IRS pre-screening form. When the job offer is made, the applicant completes the first page showing their eligibility. When the applicant is hired, you as the employer complete the second page giving your information and information on the hire. As soon as the worker is hired, you must submit these two forms to your state workforce agency (or state employment agency) for a determination on the eligibility of this worker for WOTC credit. These forms must be submitted no later than 28 calendar days after the employee begins work. Here's a list of state workforce agencies so you can find your state's agency. You will receive a determination letter from this agency giving you the worker's eligibility status. Note: Don't submit these forms to the IRS or The Department of Labor. Which Employees Are Not Eligible? Now that you have hired employees who make your business eligible for the tax credit, the next step is determining the amount of wages for the tax credit for each eligible employee. The wages must be paid in the first year of employment, so you will have to wait until you have one year's pay to make the application for the tax credit to the IRS. They must actually have been paid by your business directly. Wages subsidized by another party or indirectly paid through your business don't count toward the WOTC. Next, it gets a little more complicated when figuring the hours worked and the amount of the tax credit. The amounts differ depending on the category of the employee. In general, your business can earn a tax credit of 25 percent or 40 percent of the new employee's first-year wages. There is a maximum amount depending on the target group. Your business can earn 25 percent of the wages if the employee works at least 120 hours and 40 percent if the employee works at least 400 hours. After the worker is hired, and you have received the letter from your state's workforce agency showing that the worker qualifies, you can claim the tax credit by completing and submitting IRS Form 5884 with your business tax return. For this form, you will add up all the wages of qualified workers (depending on their hours worked and their category) and multiply these amount by the number of hours worked during the year and the appropriate percentages (as described above). One more thing: The IRS says you can apply for the credit against your business income tax liability and normal carry-back and carry-forward rules apply.